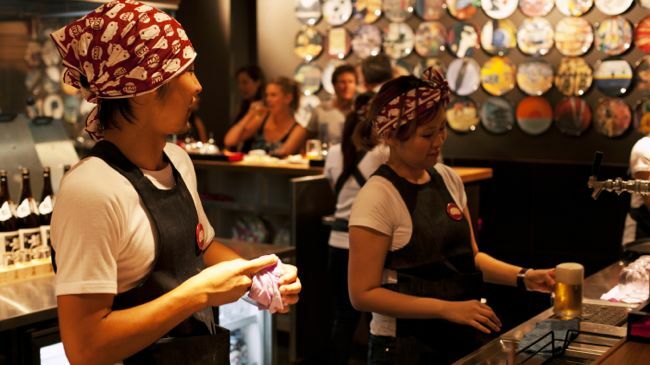 Sydney's newest dumpling house, Harajuku Gyoza has opened its doors in Kings Cross. Hailing from Brisbane, this new outpost serves up traditional Japanese dumplings, straight from Tokyo's Shibuya ward. Built on the traditions of izakaya (an old-school Japanese bar), you'll find a selection of Japanese beers, including Kirin on tap, Hitachino and Sapporo, as well as wines and Japanese specialties like sake, umeshu and iced green tea. Sake drinkers beware: this drinks' order is served with a side of excited screams. At Harajuku Gyoza, they are passionate about sake! Wonderfully kitsch and colourful plates line the walls—a nod to the glaring brightness of Toyko. An open kitchen showcases the skilled chefs in action, while the wait staff are full of enthusiasm. Upon entering you are welcomed with a loud chorus of the honorific greeting, "Irasshaimase!". Guaranteed to satisfy any gyoza devotee, the gyoza is crispy and delicious, with grilled and poached offerings containing pork, chicken, duck, prawn and vegetarian options. Non-dumpling dishes span succulently soft pork belly, agedashi tofu and tempura eggplant. As for the sides, there are the staples like steamed rice, miso soup and edamame, as well as tasty salads of white sesame and crunchy cucumber and miso. For dessert, it's back to the dumplings with super-sweet parcels, including salted caramel, cinnamon-spiced apple and Nutella banana, all served with creamy ice cream. Since Brisbane launched in 2011, Harajuku Gyoza has garnered a cult following—and it's no wonder why. 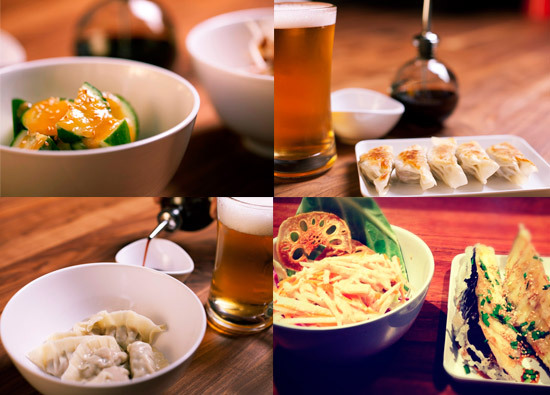 With a menu originally developed in consultation with Ryan Squires, of Brisbane's three-hatted Esquire restaurant, Harajuku Gyoza offers some of the finest gyoza this side of Japan.